PALISADE is a strong and durable steel palisade fencing system that protects against climbing and cut-through. PALISADE is available with either a D or W profile and in eight heights ranging from 1.2-3.6m. 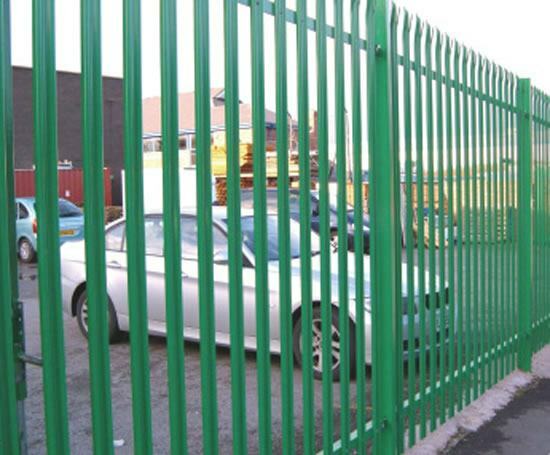 Barkers manufactures and supplies palisade fencing for commercial through to high-security applications. Three standard sizes to suit height and site requirements. Available with welded or slotted fishplates, complete with loose fishplates that can be concreted-in, base-plated for bolting down, or cranked. Posts can be vertically extended to take barbed or razor wire. Panels can be raked to allow for most site conditions. 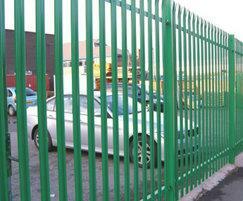 Standard and tailor-made gates are available to suit requirements. They are supplied multi-holed to suit site conditions with an anti-climb PROTECTORGATE slide latch, rear-hung adjustable hinges and padlockable drop-bolts.